Yang Wanming, vice-president of the Supreme People's Court (SPC), read out the declaration. With the goal of deepening judicial exchange and cooperation between enforcement bodies and at the same time abiding by the laws of the respective countries, the declaration lists eight items on optimizing enforcement. The bilingual declaration provides that enforcement bodies must execute judgments efficiently to protect the parties' rights and interests, promote modern enforcement, and improve enforcement fairness, openness and transparency while maintaining respect for the parties' privacy. In addition, professional training should be developed in enforcement bodies and research on enforcement principles should be conducted to improve enforcement systems. 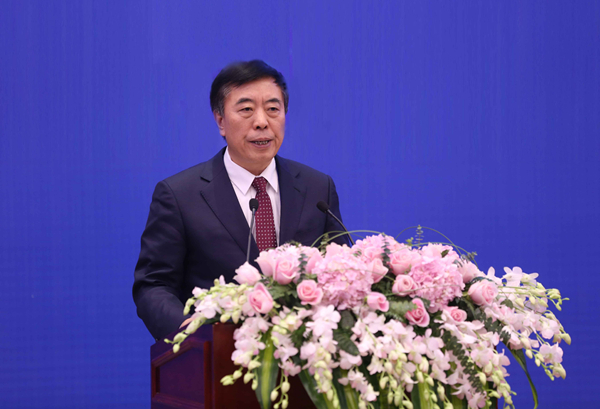 Jiang Wei, chairman of the adoption ceremony, said the declaration is the shared will of all attendees to the conference and the SPC will work together with enforcement bodies of the participating countries to implement the requirements in the declaration and promote judicial cooperation in the enforcement area.